Alirocumab Response in FRG Mice | Yecuris FRG: humanized animals and human hepatocytes platform for your next great discovery. 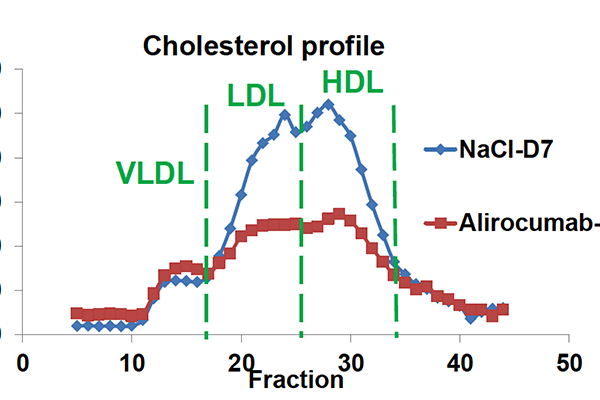 Low density liprotein-cholesterol (LDL-C), a major risk factor for coronary heart disease, is a primary interventional target for lipid-lowering PCSK9 antibodies such as Alirocumab. In contrast to statins, Alirocumab also significantly reduces plasma lipoprotein (a) (Lp(a)) in patients, another independent risk factor of cardiovascular diseases including aortic valve stenosis. FRG KO mice and non-human primates are utilized to demonstrate that liver humanized mouse models faithfully recapitulate that Aliorocumab decreased plasma LDL-C and Lp(a) levels.